Somerset is located in the South West of England and is known for its vast expanse of rolling hills and large areas of flat land. Chief among these areas are the Blackdown Hills, the Mendip Hills and the beautiful Quantocks. Somerset has always been an agricultural county, producing wheat, corn, and apples, which are turned into its nationally renowned ciders and local “Natch” and “Scrumpy” brews. Somerset has been involved in some major power shifts through its history, most notably the rise of Alfred the Great, the Monmouth Rebellion and the English Civil War. 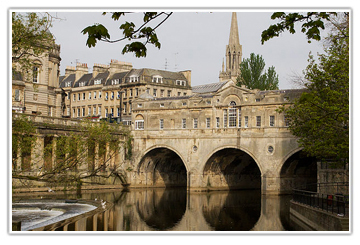 Its major towns are Bristol, Weston-Super-Mare, and Bridgwater. Bristol is about three hours from London by train, with Weston-Super-Mare on the same transport link, needing about four hours to get there. Bus times are a little long, with a journey from Bristol needing about five hours, and Weston-Super-Mare about the same. 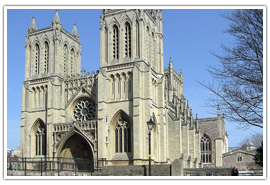 Bristol is a major port city in England, with its history stretching back to the 12th century when it traded with Ireland, Iceland, and Gascony. 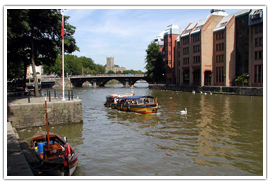 Bristol was the beginning point for a lot of famous expeditions throughout the fourteenth and fifteenth centuries, most importantly the voyage led by John Cabot to explore North America, opening up trade routes for Bristol based merchants into new territories. These trade routes are still in existence, with the original traded goods of wines, wool, fish, grain and dairy being supplemented by cars, grain, timber, and tobacco and petroleum products. Bristol is not generally known for its parks and gardens; however, for those with a need to see green while walking around the city, there are a couple of hidden gems. 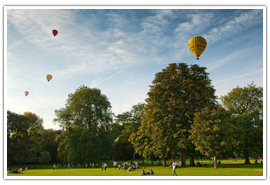 Victoria Park is a large well-kept, Victorian-era strolling park, with large grassy areas for lazing in the sun, and has well-maintained children’s play areas. Hengrove Park is a large, grassy, modern park, with purpose-built areas (the Wheels Park) for skateboarders and BMX bikers. 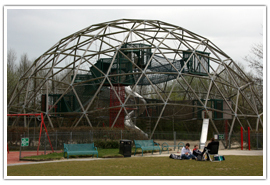 The Wheels Park is constantly open although the lights go out at 22:00 every day. There is a lovely little cafe serving food and hot drinks as well as a children’s play area, with picnic seating and tables available. Park Area Opening Times: The Park Area is open all year. 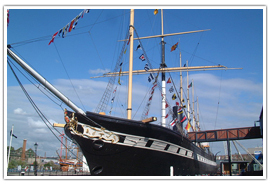 The SS Great Britain was Britain’s first great luxury steam liner, and the first of her kind. She was the first liner to cross the Atlantic, in just 14 days, a remarkable feat for an iron steamship. The original passenger capacity of the SS Great Britain was 360 but was later increased to 730. She went on many historic journeys, being the first of her kind to go from Britain to New York, as well as seeing service as a transporter ship for Australian emigrants, after the discovery of gold in Victoria. She is now a heritage museum ship and rests at a permanent dry dock in Bristol. 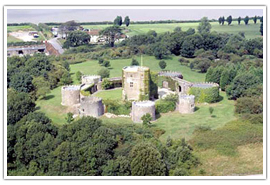 Bristol Castle dates back to Norman times and was originally a Motte and Bailey construction, erected and perfected by William the Conqueror. Remains can still be seen near the Broadmead shopping center, in Castle Park. The main castle is open to the public year-round, although the remains are minimal and are mainly of interest to archaeological students. The remains of the banqueting hall also can be seen as well as many of the original towers, but most are on the verge of collapse and so, are sealed off from public access. Bristol Cathedral Church of the Holy and Undivided Trinity is a very old structure, dating back to 1140 AD and is the pride of Bristol’s archaeological and architectural societies. It was originally named St. Augustine’s Abbey. Located on College Green, views of the building are spectacular, with its Gothic windows and Norman architecture. Inside the cathedral, the observer is treated to magnificent, high-arched Lierne Vaulting which is unique to this cathedral’s choir and tower. including Richard Hakluyt, a writer responsible for promoting the settlement of America by the English, and James Stuart, an architect, archaeologist, and writer best known for his works in Neoclassicism. Perhaps the most famous dedication at the cathedral is for Mary Carpenter who died in June 1877. She was responsible for the founding of a unitary school that was solely for underprivileged children and young offenders in Bristol. While at the Cathedral, why not enjoy a proper English Cream Tea? Cafe 1842 is renowned throughout Bristol for serving delicious food and drinks and is open at the same times as the cathedral proper. 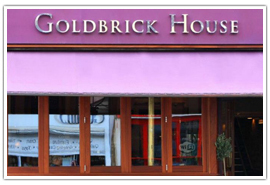 There are a variety of cafes and restaurants all over Bristol; however the most notable of these is Goldbrick House. Serving English-style tapas and snacks, it is in the perfect location for the wandering shopper to stop off and enjoy a bite to eat on the way up to Bristol’s main shopping area, Park Street. Favored dishes of local diners include chowder served in a bowl, as well as handsome steaks, juicy burgers, and tapas. A cocktail bar upstairs complements the restaurant well, just in case you fancy a naughty post-prandial tipple. Restaurant : Monday to Saturday 12pm-2.45pm, 6pm-10pm. Café-bar: Monday to Saturday 8.30am-10pm. Closed on Sundays.